Good crepes are hard to find, especially when you live up north. 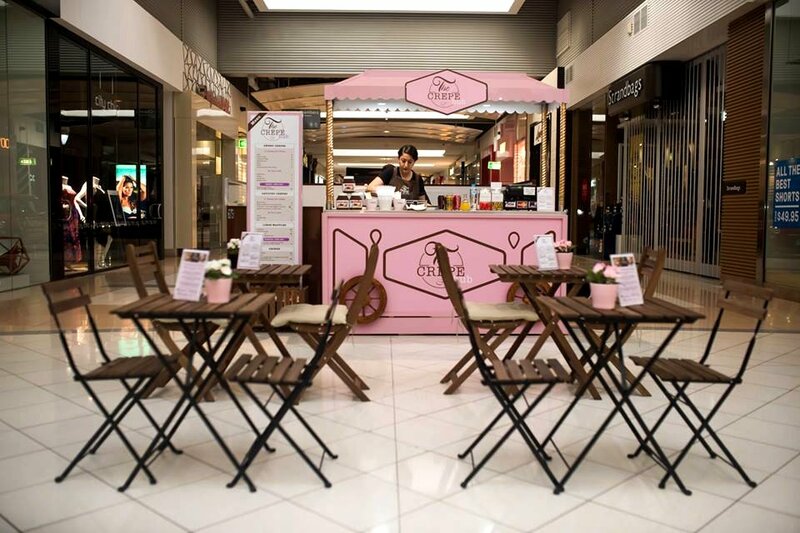 New to the Elizabeth Shopping Centre is The Crepe Hub, a cute little pink creperie that satisfies your sweet and savoury cravings. The stall is run by Sahar and Ahmed, a lovely husband and wife team, who make your order right in front of you using the freshest and best quality ingredients. At The Crepe Hub, everything is customised and it’s kind of like the Subway for crepes. 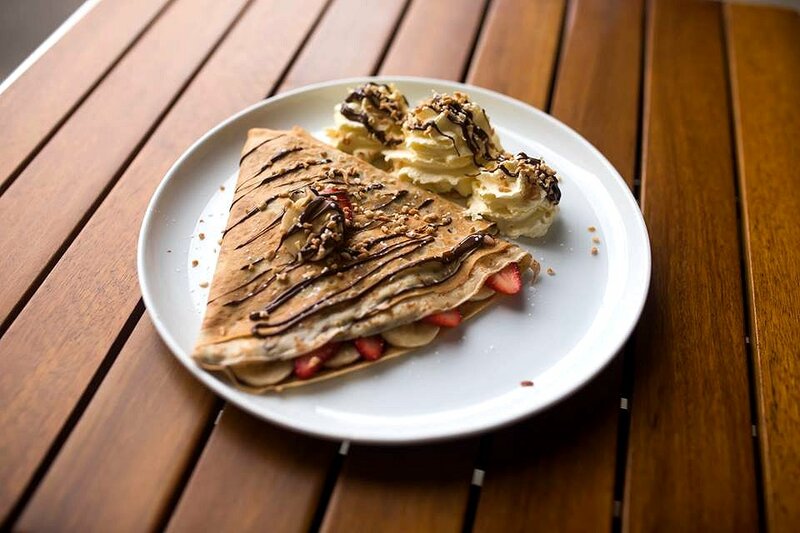 Customers select the filling for their sweet or savoury crepe, followed by the topping. In the case of the Liege Waffle, only toppings are chosen. Today, I had their best seller, the Sweet Crepe with homemade salted butter caramel topped with strawberries, bananas, crushed nuts and whipped cream. The crepe came to my table piping hot and was soft and delicate. The saltiness of the caramel was balanced by the natural sweetness of the fruits. The crepe was rounded off with the crushed nuts which gave the dish a much needed crunchy texture. While the menu is not that extensive, the owners, Sahar and Ahmed, certainly know how to make their crepes. The couple greet you with a smile, and impress you with their fast and efficient service. Nothing on the menu is over $10 so it’s really spare change. Crepes are one of those dishes that are perfect for a meal or snack at pretty much anytime of the day. Make sure you check them out at Elizabeth Shopping Centre, just in front of Harris Scarfe.